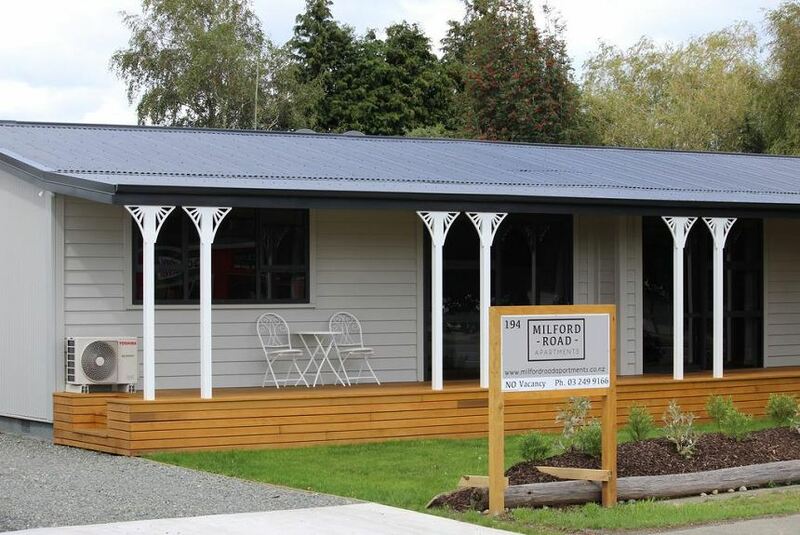 Welcome to Milford Road Apartments, the perfect place to relax and enjoy a holiday in Te Anau, the gateway to the world-famous Milford Sound and Fiordland National Park. Come and stay in our self-contained stylishly appointed two bedroom apartments, available for all short and long-term accommodation requirements. Check our availability, flick through the gallery, or get in touch for more information. We are conveniently located at 194 Milford Road on the main road towards Milford Sound, 300 metres from restaurants, bars and retail shops. We designed the apartments especially to suit people travelling alone, with a companion or 2 or more couples travelling together who prefer comfort and space whilst enjoying all the attractions that Te Anau and the Fiordland area have to offer. There are two apartments on the property with under cover parking and ample parking space for boats etc.